For all those one-issue candidates and their supporters, you’re not going to pull the net over our eyes. Elections are about vision, leadership and good governance. It’s clear you lack all three. I even question whether you have the capacity to really understand the issue. Just sayin’. Before you vote this week, make sure you have the facts. Make sure you know which candidates are for protection of the fishery and those that are a threat to the fishery. The right to harvest is a collective right, not an individual right. Once your individual rights start to tread on others, your individual rights stop. I have a right to fish. My children and future grandchildren have a right to fish. Our descendants, seven generations from now, have a right to fish. And the fish have a right to survive. You DON’T have the right to wipe them out! There is no threat to our rights. We will always be able to use a net and spear for personal and ceremonial use. The only threat to our rights is the disregard of Nipissing First Nation law and disrespect for the fish, our lake, our nation’s laws and us, your fellow Nbisiing Anishinaabeg. I’m going to say it: your candidacy and arguments are not about protection of our rights, it’s about greed and disrespect. You’re not interested in managing the fishery and protecting the resources. You’re out for the almighty buck. You openly call our Gimaa, a direct descendant of the Chief that signed our treaty, the “White Chief”. The only thing non-native is your greed and disrespect for our laws, the lake, the fish and your fellow Anishinaabeg. There are plenty of good zhagonosh people that have much more integrity and values than you do. You bring shame to your families and your community. The Robinson Huron Treaty was only signed in 1850. The Treaty did not give us rights, it gave the settlers rights. Before that, we had inherent rights and sacred law. Sacred law tells us that human kind were given two gifts: (1) intellect and (2) free-choice for one purpose: to speak up for, and look after all those in Creation that are unable speak for themselves. We have a responsibility to look after the lake and the fish. It is 100 per cent true that the lake is under tremendous pressure. The numbers, through surveys, the annual fall walleye index netting and reported catch from harvesters all point to a possible collapse of the walleye. This is science, people. Not someone’s opinion. I’m sorry to say that it is OUR people that are responsible for the collapse of the fishery. Not angling nor ice fishing – but our unsustainable, commercial fishery. We are responsible for taking the vast majority of fish from Lake Nipissing. We’re talking thousands and thousands of kilograms, each and every year. For those who say the science may not be accurate, you are right! Uncompliant harvesters do not participate in the surveys and do not report their catch at all. As a result, these numbers are probably even worse. I’ll stop here for a moment of levity. Aspiring leader, oh great ones, what are you going to do about this? If you won’t be compliant with a law that has enforcement provisions, why would you be compliant with just a code of ethics? Doesn’t make sense. Those that gloat that their catch has “never been better” are not telling the truth. We know you are feeling the pinch. Maybe it’s time to find some other work or learn another skill. Our First Nation has the right to manage the fishery. That’s what our community has done. Our fisheries laws are good. As Nbisiing Anishnaabeg, we should be proud of this program. It is based on science, it is based on developing our community capacity, it is based on protecting the fishery as well as our rights. We have been recognized for our incredible leadership. In March, our Natural Resources Program, the MOU and our relationship with the MNR received an award given by the Institute of Public Administration of Canada (IPAC). We won the Gold Award for excellence in managing the fishery, and collaboration and co-management with the MNR and the MOU. The MOU is a best practice demonstrating mutual-respect, recognition of Indigenous law and repairing a long-contentious relationship for the benefit of the lake and the fish life. That being said, we wouldn’t need to have an MOU with the MNR to enforce our fisheries regulations if these uncompliant harvesters would just obey our community laws. You are contravening Nipissing First Nation law. We want NFN fisheries and the MNR watching, because they are enforcing OUR law. But here is a really simple suggestion… if you don’t want to be “harassed”, then become law-abiding and compliant harvester. But until you begin to obey the law, we don’t want you fishing. Vote to protect our Lake. Vote to protect the fish. Vote to support the rights of your fellow Nbisiing Anishinaabeg. Please choose wisely. The women of Nipissing First Nation will be a strong voice to hear from in this week’s election for Chief and Council. 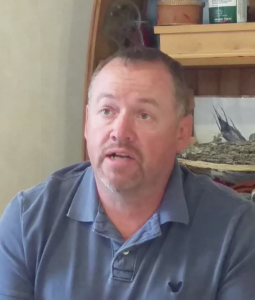 Scott McLeod, the leading candidate for Chief, has heard from a number of Nbisiing kwewag over the course of his campaign and through a survey sent out recently. Scott expressed a few kind words for the role of women in his life and the life of the community. “We depend so much on their advice, direction and in how they care for and nurture our community. They are also our life givers – caretakers for the Lake, the water and Mother Earth. We have to honour them in their role as leaders in the community,” said Scott. Scott McLeod has also voiced his support for an Elder’s Forum and a Youth Forum that will provide a voice directly to Chief and Council, and when required, the community, and governance functions. Scott was happy to share some of the interim results of the Nipissing First Nation Women’s Survey as well as some of the comments that struck a chord with him. “As we establish and continue with an ongoing Women’s Forum, we’ll hear from more and more from Nipissing First Nation women, their perspectives and their issues,” concluded Scott. Election Day, Friday, July 10 9 a.m. – 8 p.m. in Garden Village and Duchesnay. The following results of the survey and shared comments may not represent the views of all Nipissing First Nation women nor are they an exhaustive list of issues important to Nbisiing kwewag. If you are a Nipissing First Nation woman and are interested in providing your views, you are invited to fill out the survey. “Expanding upon Nbisiing Secondary school to include all grades and provide language immersion. Scott McLeod represents real change. That’s why I’m For Scott. Ahniin-Boozhoo Nbisiing Anishinaabeg, niin dwaymaaginidoog minwaa niikaanisidoog. Mno Canada-giizhgad. Canada Day is a good time to reflect on our own Nationhood as Anishinaabe people. And not just because we may be taking the holiday off. Whether you are a citizen of Nipissing First Nation, another First Nation community, the Anishinabek Nation or one of the many indigenous nations from sea to shining sea – all indigenous people should give serious thought to our own survival in the face of continued attempts at assimilation, racism and challenges to our sovereignty. We also have to give careful thought to the selection of our leaders. Our leaders, our Gimaag and Gimaakwewag, are the people that we entrust with defending our Aboriginal and Treaty Rights, facilitating change and determining a course of action for our communities as we move towards Anishinaabe self-government. On July 10, Nipissing First Nation has an election. For the first time in nine years we are electing a new Chief to lead us through one the most difficult times that our community has faced. These include serious challenges to our inherent, Aboriginal and Treaty rights. Outsiders are calling for an end to our legal rights. We are facing blatant racism from our neighbours. Those attitudes are being perpetuated by social media, the mainstream media and so-called stakeholder organizations. There is a serious issue to deal with in restoring the health of Lake Nipissing, building our economy and finding alternative and well-paying jobs to the commercial fishery. This is a serious time for us in Nipissing. We have to get this right! We need a Chief that has the strength and competency to lead us through this important period of change. We need someone that will listen and care for our people. We need someone who has the energy, resilience and youthfulness to keep up with the grinding days, weeks, months and years ahead. Most importantly, we need someone who hasn’t been beleaguered and gun-shy by the inaction of their counterparts. Electing an incumbent Councillor as our Chief is NOT change. It’s the same old, same old. We need someone who can confidently facilitate real change. Period. Full stop!! For heaven’s sake, please don’t mark an ‘X’ next to a name just because you’ve been doing it for years or because you’ve been comfortable with them for years as a Councillor. Don’t vote for anyone just because they are a nice guy. They’re all nice guys. And don’t just vote for someone because they are your cousin. An election shouldn’t be a popularity contest. This is a serious time for us in Nipissing. We have to get this right! 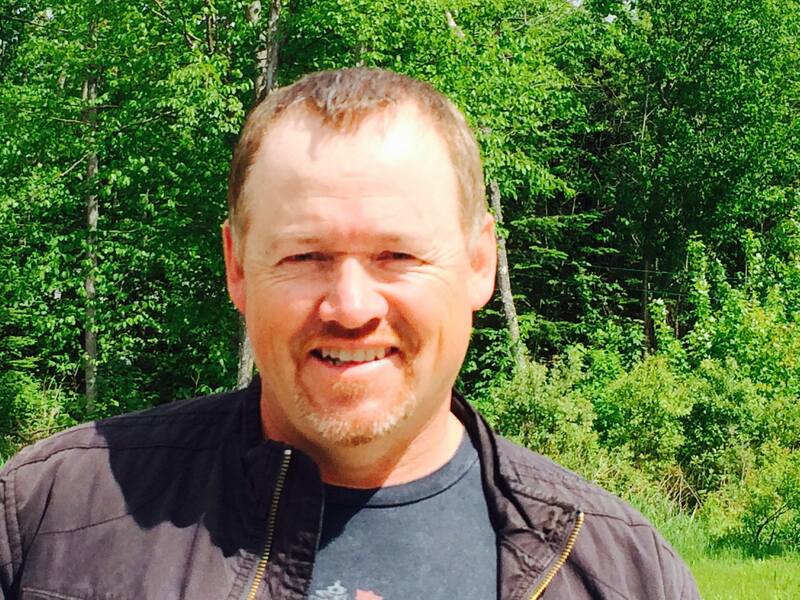 To me, given what I’ve said in a previous post, Scott McLeod is the only choice for Chief of Nipissing First Nation. 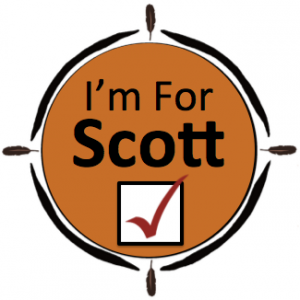 Please join me, as we launch the slogan: “I’m For Scott”. Please share this post, create your own Facebook status update, a Twitter tweet or social media post saying “I’m For Scott”. Let people know that you support real change by electing Scott McLeod. Please post or share the I’m For Scott image (above). Use it as your Profile Pic until July 10 at 8 p.m.
Go to Scott’s Facebook page and hit “Like”. 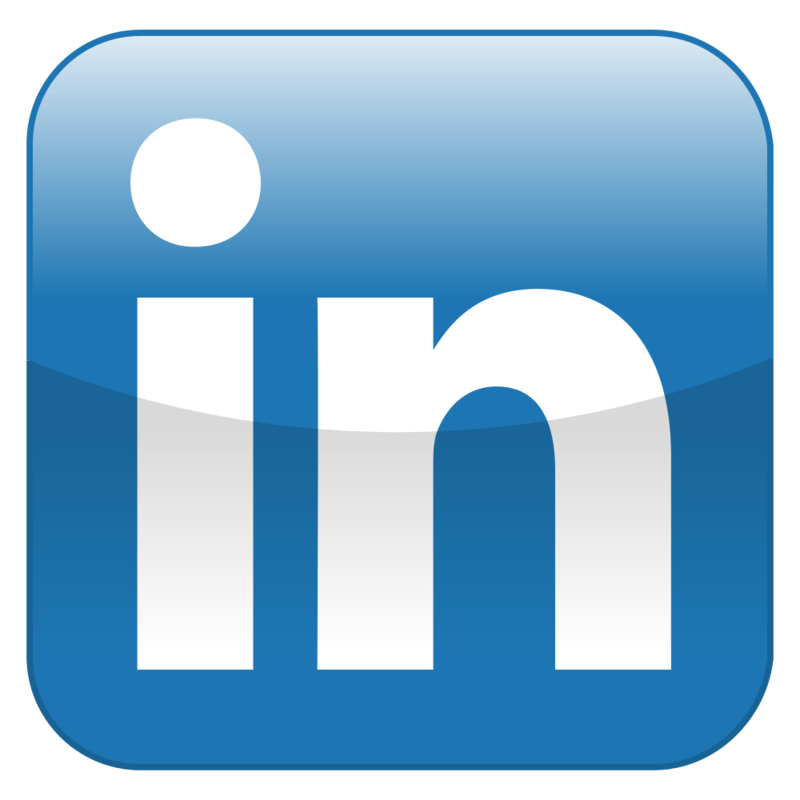 Share this post via Facebook, Twitter or LinkedIn. Show your support for Scott McLeod. Be vocal and speak up, let your friends know that: “I’m For Scott”. These little actions can go a long way in ensuring that the right decision is made at the ballot box. Mi iw. Gchi Miigwetch, Anishinaabeg. Living off-reserve? Please send in your mail-in ballots. Our Chief is gone. Hail to the Chief. Marianna Couchie, our fearless leader for the past three terms has chosen not to seek re-election, opting for clearer skies, enjoying retirement and taking care of her family. Now we have the task of filling her moccasins and choosing our next Chief for Nipissing First Nation. The most important issue in this campaign, and the biggest issue that has faced our community in the past fifty years is the health of Lake Nipissing, the defence of our Aboriginal and Treaty Rights and the future of the Nipissing First Nation commercial fishery. The data is there and it is a reality. 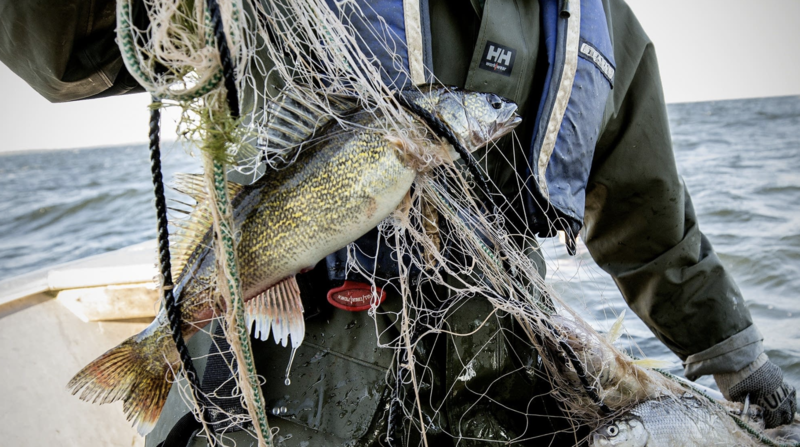 The walleye population is severely hurting and on the verge of collapse. As a result, we need a leader that can show strength in defending our rights, managing the fishery and protecting our precious resource for future generations. In my opinion, Scott McLeod is the only choice for the job. Here are a just a few of the reasons. SCOTT CAN MANAGE THE FISHERY – Scott has the experience, not only as a member of Nipissing First Nation Chief and Council, but in managing fisheries issues, the health of the Lake Nipissing, and defending our Aboriginal and Treaty Rights. Scott has spent the better part of his career in fisheries as part of a concerted effort to study, strategize and protect the walleye population. Scott worked for both Nipissing First Nation Fisheries in it’s formative years, then the Anishinabek-Ontario Fisheries Resource Centre (AOFRC). He’s been in the room with the Ministry of Natural Resources’ biologists, District Managers and Assistant Deputy Ministers. He speaks the language of fisheries and can interpret the research and speak to it in detail. He can also speak the language of Anishinaabe Aboriginal and Treaty Rights. But most of all, he knows what needs to be done. In this area, Scott has no other competitors. “There’s no purpose to having rights to resources if the resources aren’t there,” says Scott McLeod, a candidate for Nipissing First Nation chief. “We need to make sustainability of our fish and wildlife paramount ahead of any group or individual whether native or non-native,” he told about 75 people at an (sic) candidates’ night at Nbisiing Secondary School in Duchesnay Village, Wednesday. Do you want your next Chief to deal with the issue head-on or continue to bury their heads in the sand? Do you want your next Chief to be able to show leadership on fisheries or act on their own interests? It’s pretty clear to me. SCOTT HAS THE COMPETENCY TO DO THE JOB – There are times in my career, when it’s my job to examine candidates for who is best for the job. Not only does Scott McLeod demonstrate the required skills needed to be Chief, and have the required experience – but he has what the other candidates lack: sheer competency. Scott clearly demonstrates leadership competencies. Don’t believe me? Go ahead and compare all the candidates to a political leader you most admire. Compare all the candidates to a successful Chief Executive Officer. Listen to the way they use their words to express confidence. The way they inspire others to be the best that they can be. The way they might facilitate the change management that will be required. That’s what competency is about. SCOTT IS ARTICULATE AND SPEAKS LIKE A CHIEF – A Chief needs to act like a Chief. A Chief needs to sound like a Chief. A Chief needs to be able to articulate himself or herself strongly and clearly. Please take a look at the YouTube videos from the Candidate’s night. Scott’s energy and ability to articulate himself clearly will be essential in the defence of our Aboriginal and Treaty Rights and ensuring Nipissing First Nation remains ahead of the curve in address our issues, working with our partners and building our economy. SCOTT IS GENUINE, CARING AND HARD WORKING – I’ve known Scott my entire life. I’ve looked up to him as a big brother. I’ve seen him come to the aid of those in need. 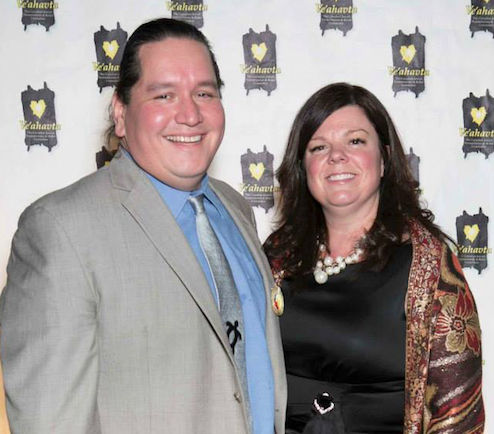 He’s got a heart of gold and truly exhibits the qualities of an Anishinaabe man. Sometimes being a leader isn’t about special interests or issues. Being a Chief means that you can understand the challenges of our people and put in the work to help those in need. And not political work either – but getting your hands dirty and doing the heavy lifting. In this way, Scott isn’t coming in to give a speech and shake hands and leave the room. Scott is there for you, your family and not afraid to give his blood, sweat and tears for all of Nipissing First Nation. SCOTT HAS ENERGY & VITALITY: Scott has a lot going for him through his youthful energy. He’s got energy and vitality to spare in dealing with the in’s and out’s of First Nation governance. He has the strength and spirit to take on those that vie to eliminate our rights. Scott has many years of leadership ahead of him. 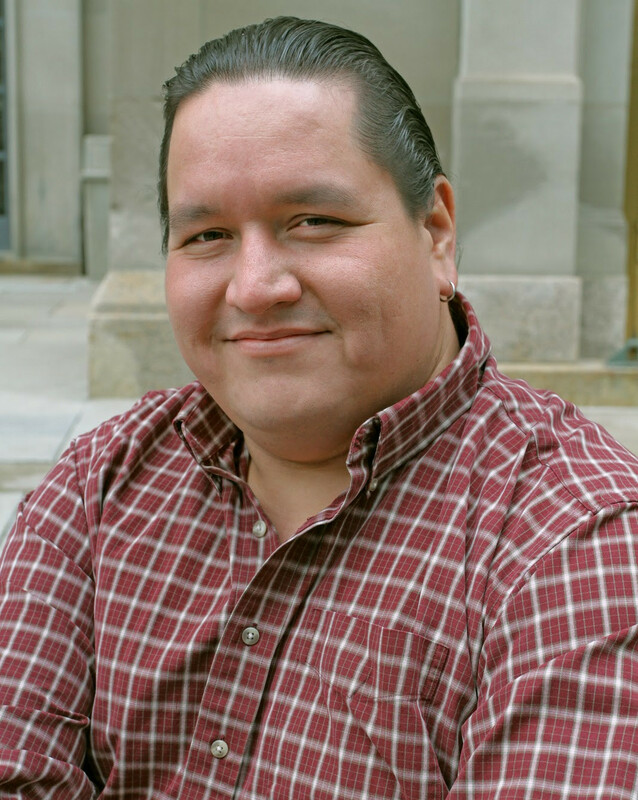 SCOTT HAS INFLUENCE – Scott has broad networks and connections with Grand Chiefs and other First Nation Chiefs across Anishinabek territory. Having worked at the highest levels of First Nation politics for years, I’ve seen this first hand. Other candidates may claim to have the same networks, but from my perspective, they were merely passive observers. Scott McLeod was never afraid to speak for Nipissing from the front of the room and from a real position of influence. Please consider carefully your vote for Chief of Nipissing First Nation. For those who think that the electorate is always right, just look at the past 10 years under Stephen Harper. No matter whose sign you have in your front yard, you have to ask yourself: “Is that the right choice for our next Chief?” For me, there is only one choice and that’s the only choice. Join me in speaking out and showing your support for Scott McLeod. Facebook Photos of Rotting Fish. How Should our Leaders Respond? Who is responsible for bycatch? 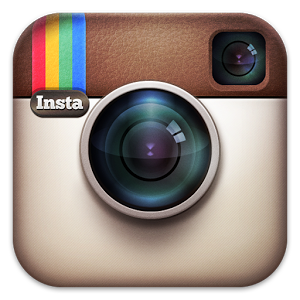 Assumption: One image may (or may not) be a Native waste dump. Fact: One image is definitely a non-native waste dump. For those leadership hopefuls seeking office as Nipissing First Nation Chief or Councillor, how would you respond to the Facebook photos posted about a fish dumpsite? Do you shoot from the hip or give some real thought and strategy to a fulsome response? Certainly, we need people, leaders, that know how to be eloquent, strategic and ready to take action. The question for all our community: Do we have candidates that can propose and formulate an effective action plan? Do we have potential leaders that you can have confidence in? Political action then requires an information gathering stage. Many people are pointing out that these photos may or may not be a site in Nipissing First Nation. The first thing that needs to be done is to ascertain the facts about the alleged dump site. Someone should take a ride down the bush roads. Ask if anyone that has information about this site. To make a decision, it is important to gather as much information as you can possible have. Then comes formulating some intelligent and practical policy options. Once we have the information we need, what can be done? What ideas do our Chief and Council candidates have to deal with this? If this is indeed by-catch, perhaps we need to examine options on how to reduce waste. How can we train our harvesters to reduce their waste catch and how to properly dispose of it? Perhaps this is an enforcement issue? Do we need a strong conservation law that addresses acceptable waste and proper waste disposal? Community engagement may also need to happen if it will have a significant impact on our community, or in this case, our commercial harvesters. Have the appropriate committee review the policy options of strategic action plan for their feedback. The issue of the Lake Nipissing fishery is a no-brainer. Engagement, communications and reporting will be necessary. Then strategic action needs to be taken. We can’t rush into anything, especially if ideas cost money. An strategic action plan need to be developed that include a workplan, resources required to implement the plan, budgets and timeframes. Then approvals need to take place. That needs to be a part of the plan. Finally, every idea that becomes a strategic action item requires a means of evaluation. We need to know if the strategic action is working. This also requires reporting back to the community. The communications with our members and our neighbours should always continue. Is Nipissing First Nation ready to take leadership to address our own fisheries issues? I’m looking forward to finding out and helping any way I can. We are all part of the solution. Recently, I’ve had a chance to really appreciate the gift of asaamaa (tobacco). The other day, I had the privilege of giving a teaching for my family and friends – speaking of the origin of tobacco, the Creation Story and the story of Misko-gaabwid and Waynaboozhoo. During this time, I had a chance to sit with my tobacco, speak personally to Creator and the Spirit World, and ponder my journey in life. It’s been a great way to find clarity, give thanks and talk in a good way with Deborah and my family around me. It’s been abundantly clear to us that there are two things that are most important in life: health and family. As a result of these deliberations, I’ve decided that I will not put my name forward to run for Chief of our community. I want to gchi-miigwetch (thank you) for your kind words and pledges of support. I continue to be overwhelmed by the almost daily messages of encouragement by my fellow community members. Despite your encouragement, right now, I’m not willing to sacrifice the wonderful life that I have with my family. I enjoy the time I am having with my boys. Zoon Gaabow and Miigwans, with their football ambitions and our adventures together. I’m enjoying my time with my daughter, Waabgwaniis, who has made my dreams come true again by being my almost daily companion. Of course, I enjoy spending time with my beautiful wife, Deborah and Jasmine and Fiona. If I was to be elected Chief, I would most certainly have to divide my time between being Chief and balancing their companionship. I cherish my family above all and this is not a sacrifice I am willing to make. I also want to be able to support Deborah, as she continues to serve as Deputy Minister. She does such amazing work and I want to be there to be her strength and be there in her times of need. Our family’s health is important as well. I am committed to improving my own physical health by maintaining good control of my diabetes, losing a few more pounds and becoming physically fit. I also want to be there to support someone very close to us that is struggling with mental wellness. Finally, to be there for my Mom, as often as I can, in her waning years of her life. Finally, I am really enjoying being a entrepreneur. 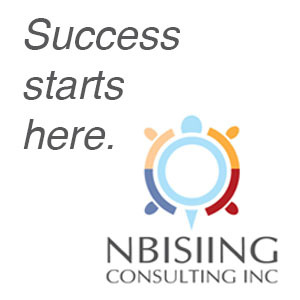 My business, Nbisiing Consulting Inc., is starting to take off in a few great, new directions. I want to give it my full effort in helping First Nation, Métis and Inuit communities in improving social conditions and building their economies. Maybe one day I will run for Chief. When the time comes, hopefully, I will still have your support. Until that time, I will continue to assemble that bundle of overwhelming gifts to help our community of Nipissing First Nation become a strong, thriving, self-governing Anishinaabek community. Is it time for spirited, youthful and energetic leadership in Nipissing? Well, it is that time again. Here in Nipissing First Nation, we have our election for Chief and Council every three years. Spirited Leadership. Is it time for spirited, youthful and energetic leadership in Nipissing? I think so. I could bring my years of experience and integrity in working with First Nations and Aboriginal political organizations at the highest levels. Community Vision. Having vision is keeping an eye to the future of our community, for families, women, students and youth – all to the Seventh Generation. Community vision should be all about health and well-being, education, social development, economic development and enabling a good life, Mno-Bimaadiziwin, for all our citizens. Bridge Building. Years of proven results as a professional communicator, community facilitator, negotiator and traditional teacher. It also helps to be an effective public speaker and motivator that keeps everyone on their toes. Unmatched Network. I’d be pleased to share an unmatched network of influential Chiefs, Cabinet Ministers, public policy leaders and influential Canadians. Building Economies. It’s essential to have the vision and capability to build our economy, create jobs, support small business, all without risking Mother Earth, our sovereignty and territorial integrity. Nbisiing Anishinaabe. It is so rewarding to be living my life as an Anishinaabe man, with the guidance of our Elders and traditional teachers, with a dedication to our language, culture and values that are important to our community. My family and I haven’t decided if I’m going to run for Chief. The answer to that question will also come from you. Do you feel I have the tools to be an effective leader for our community? Is it time for someone to step up and bring some vision, excitement and energy to this position? I’m looking for your ideas and thoughts that may help me contemplate such a decision. G’chi miigwetch, niikaanisidook. I am so thankful for all your kind words of confidence, support and encouragement. I sincerely look forward to hearing from all of you. Please reach out to me by e-mail: info@bobgoulais.com, phone (705) 805-9242, or message me on Facebook, Twitter or LinkedIn. Yours, in Friendship & Nationhood.